Born: March 22, 1822 in Sandwich Ma. 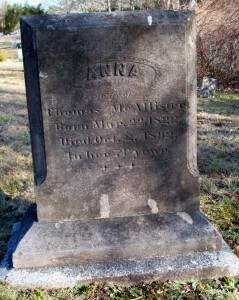 Died: October 2, 1892 in Bourne Ma. 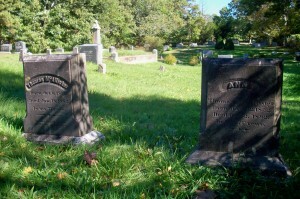 in her 71st yr.
Married: June 27, 1841 in Pocasset Ma. 1. Oren Austen McAllister; (1855 – October 7, 1926); Married Sarah Loanna Wright (1864 – 1918) (Anderson Wright, Civil War & Sarah Elizabeth Newcomb); Oren & Sarah are buried in Pocasset Cemetery.